In December of 2015, FCYO held the fourth webinar as part of our Youth Community Organizing Resource Exchange (Youth CORE), a set of projects that seeks to build a more powerful and well-connected youth organizing field.On this webinar, FCYO shared some of our lessons learned about youth organizing and voter engagement and attendees heard from two organizations that have successfully integrated voter engagement into their work. FCYO's 2010 Youth Organizing Field Scan is a result of in-depth regional conversations, on-line surveys and one-on-one discussions with over 100 organizations. The field scan used a combination of quantitative and qualitative research to document trends, challenges and opportunities present in the youth organizing field at the time. 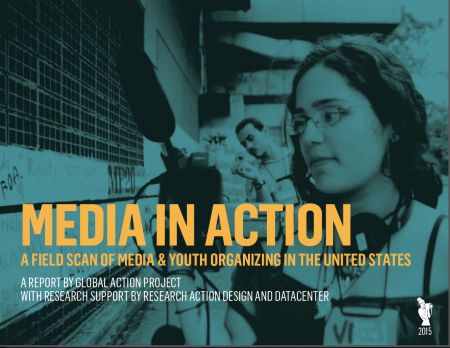 Media in Action: A Field Scan of Media & Youth Organizing in the U.S.
From 2012-2015, Global Action Project, Data Center and Research Action Design conducted a national research project—Media in Action: A Field Scan of Media & Youth Organizing in the U.S. The project sought to understand how youth organizers are using media to advance social justice and movement-building work throughout the United States. 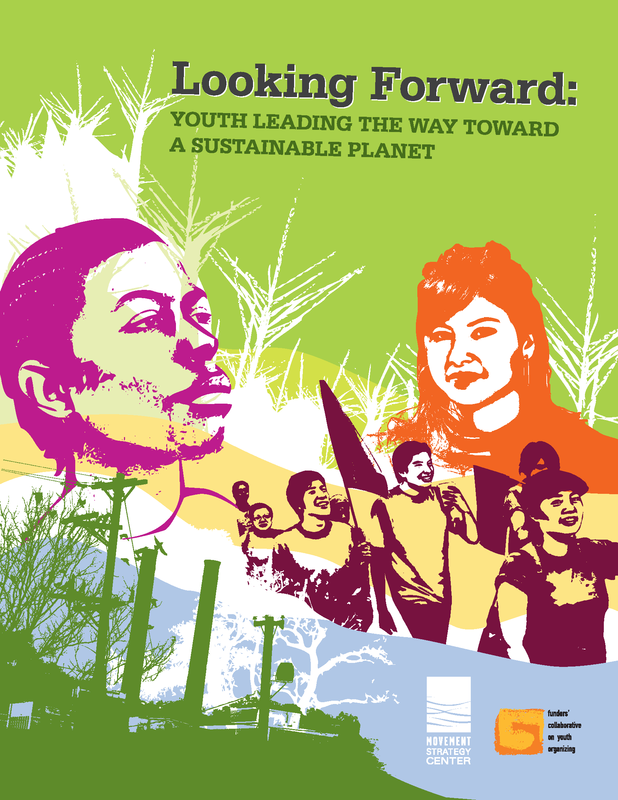 "Looking Forward: Youth Leading the Way Toward a Sustainable Planet”captures lessons learned from our grantmaking initiative, Regenerations: Youth Leadership Expansion for Environmental Justice (ReGen/EJ). This report provides case studies in two key areas – climate justice and clean water – and highlights the multiple impacts ReGen/EJ made on individual young people, organizations, the environmental justice community, and mainstream environmentalism. Released in 2015 in partnership with Quadrant Metrics, LLC, Now or Never is a research report on the youth civic engagement ecosystem in the current political landscape. The report examines how civic engagement leaders can look to the field of youth organizing for promising new strategies to assist them in increasing voter participation, passing beneficial policies, affecting redistricting in 2021, and changing how the Millennial Generation thinks about values and policies for their lifetimes. This webinar, held in December 2013, focused on our 2013 National Youth Organizing Field Scan report, the most comprehensive report on the state of the field of youth organizing since our last scan in 2010. FCYO and respondents from the youth organizing field and philanthropy discussed how the field has grown in maturity and power, but faces important challenges in continuing to push for social change and building the leadership of young people. Attendees discussed how funders committed to supporting this work can work together to address the financial challenges facing the field. 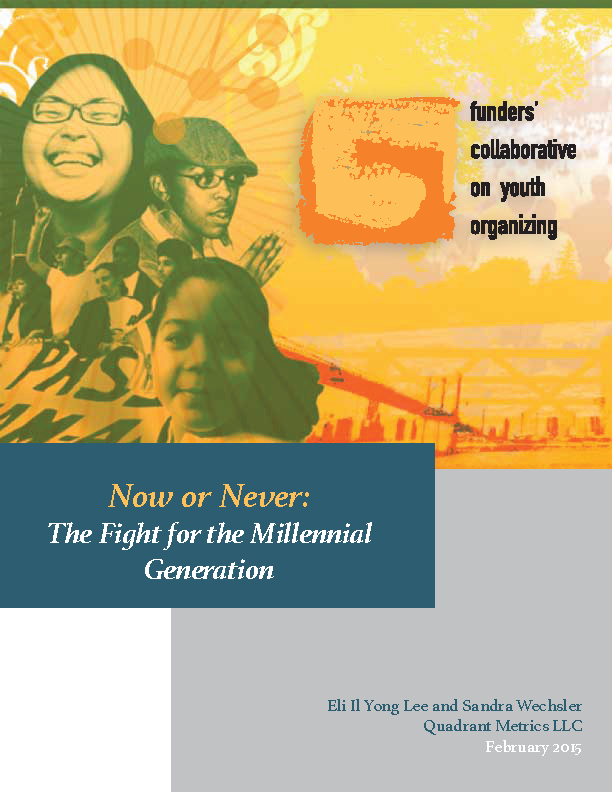 This report was compiled from notes on a seminal 1997 funder briefing on youth organizing that brought together 75 funders to introduce youth organizing to the foundation community; to explore the challenges and the benefits of this work; and to broaden funders’ understanding of the powerful role youth organizing can play in community organizing and in youth and community development. 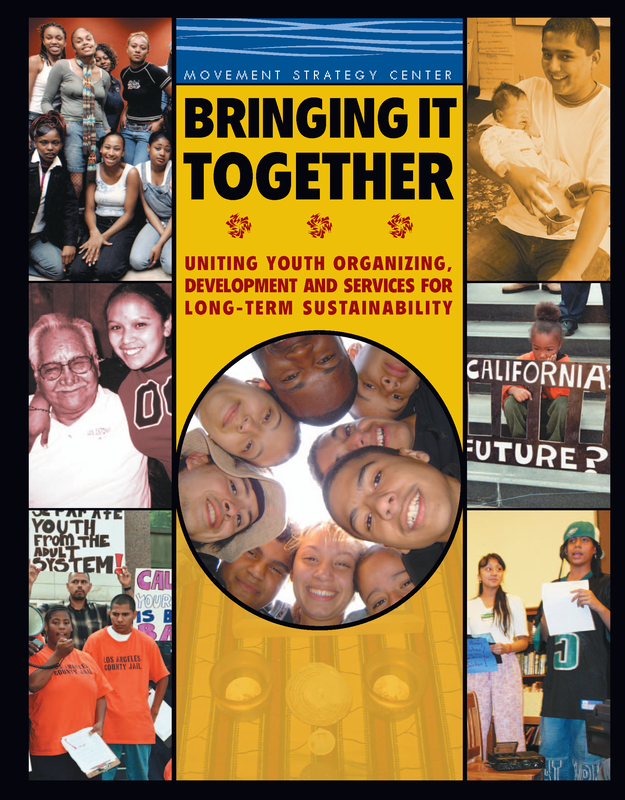 This report, released in 1998, documents notes from a seminal two-day summit with youth organizing leaders and funders, discussing key needs in the field at that time, and outlining plans for what eventually became the Funders' Collaborative on Youth Organizing. In 2013, FCYO released its last National Field Scan, the most comprehensive report on the field of youth organizing since its previous scan in 2010. The report documents important advances made by the field, identifies significant challenges facing youth organizers, offers detailed analysis of the trends, opportunities and challenges facing the field, and offers recommendations for funders. Movement Strategy Center's 2005 report, which includes tools, case studies, and recommendations for organizing groups supporting young people's holistic needs.